Concerened about your double chin? We can help you reclaim your profile. Does your profile bother you? Do you want to do something about a nagging double chin? We have solutions to reduce submental fullness and chisel your jaw line. Having a double chin can make people look older than their real age. Say goodbye to your double chin and say hello to a younger you in the mirror. Love what you see with our non-invasive options for contouring your neck. CoolSculpting for contouring the neck without surgery or needles. We offer Coolsculpting using the CoolMini as a non-surgical alternative to liposuction for reducing the double chin. While CoolSculpting works very well not everyone is a good candidate for the treatment. The right candidate must have the proper fat pads that the applicators can be applied to. Come in for a consultation to determine if you are a good candidate. For optimal results, 2 treatments are generally required. The treatments are separated by 4-6 weeks. Treatments are planned using templates of the CoolMini applicator. For fat localized to the sub mental chin, a single applicator per session may be required. If there is significant fat more laterally in the neck, 2 or 3 overlapping applicators may be required to produce the optimal result. 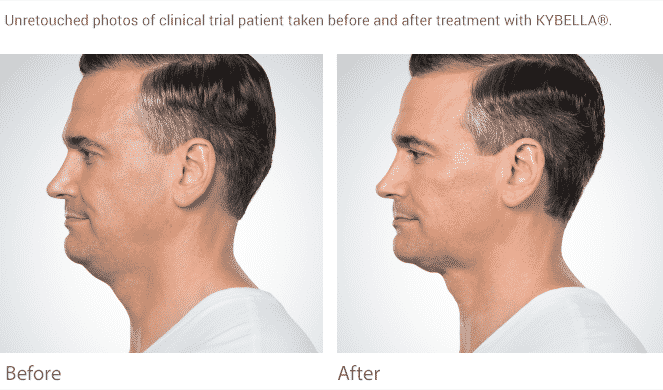 At Well Medical Arts in Seattle we also offer Kybella and often use the two to develop a customized non-invasive alternative to surgical options. Call Well Medical Arts at 206-935-5689 to schedule a consultation to learn what would be the best treatment plan for you. Try the coolsculpting coolmini template on for size. If you can see a fat pad protruding through the template you may be an ideal candidate for Coolsculpting for the double chin. 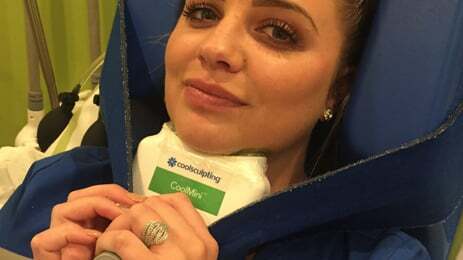 The CoolMini is the latest CoolSculpting applicator that is approved for use on the double chin. Call Seattle Coolsculpting experts Well Medical Arts at 206-935-5689 to schedule your consultation. Kybella for sculpting the jaw line and giving the chiseled appearance. 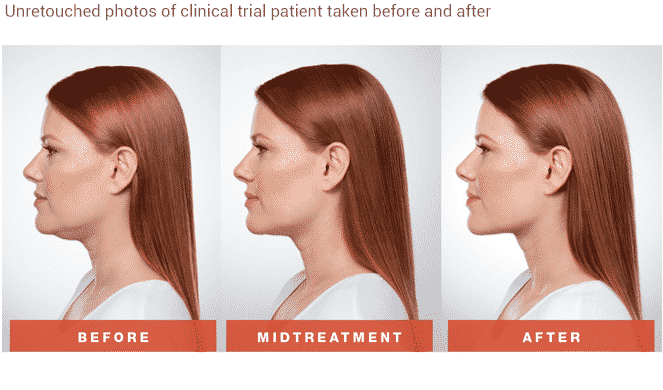 Kybella is a non-surgical injectable option for reducing mild to moderate fat below the chin, the area commonly known as a “double chin.” The injection contains a naturally occurring substance in the body, deoxycholic acid, which helps the body absorb fat cells. When properly injected, Kybella destroys fat cells. The FDA approved Kybella as a treatment for adults with submental fat in 2015. While Kybella is very good at defining the jaw line we often refer our clients with more substantial fat pads to first threat the area with Coolsculpting for debulking the chin prior to using Kybella. Call Well Medical Arts at 206-935-5689 to schedule your consultation to determine the right treatment plan for you.